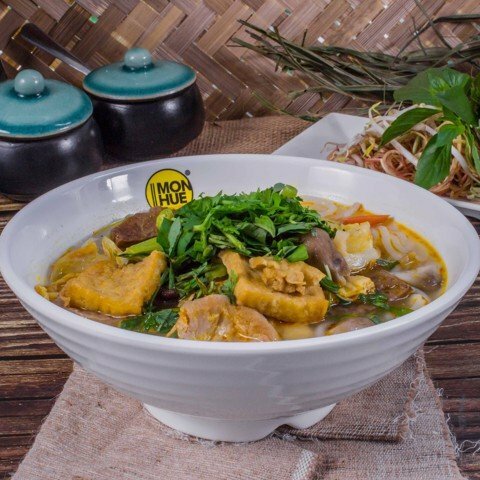 Quang vegetarian yellow noodles of Nha Hang Mon Hue was made of these main ingredients: Quang vegetarian style broth, vegetarian fillings, Quang style noodles. 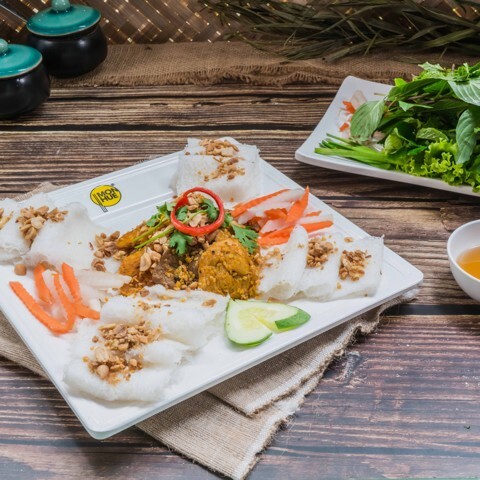 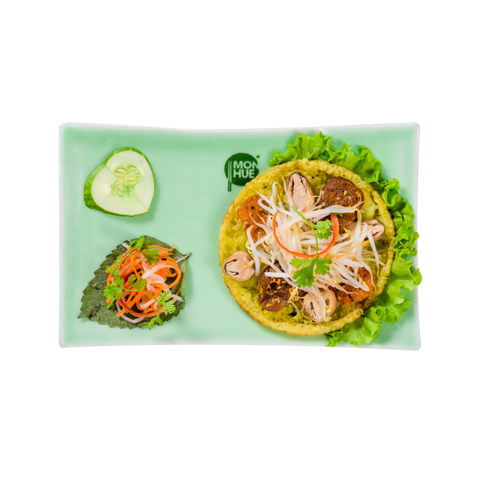 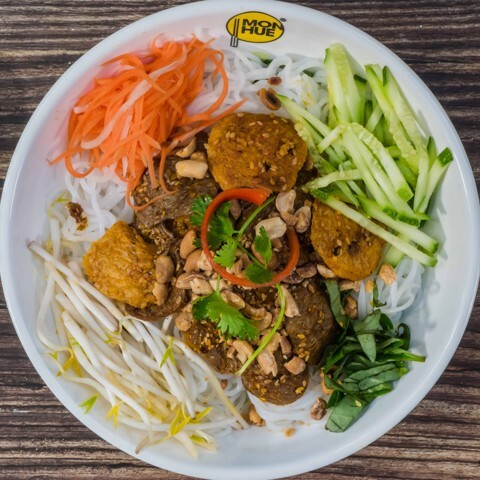 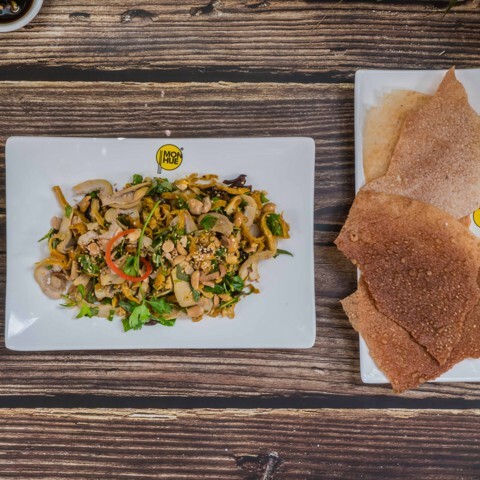 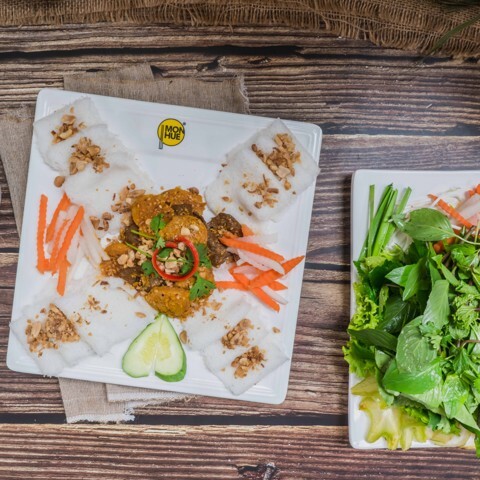 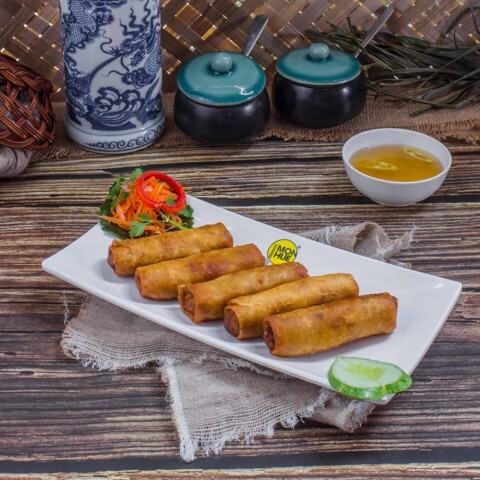 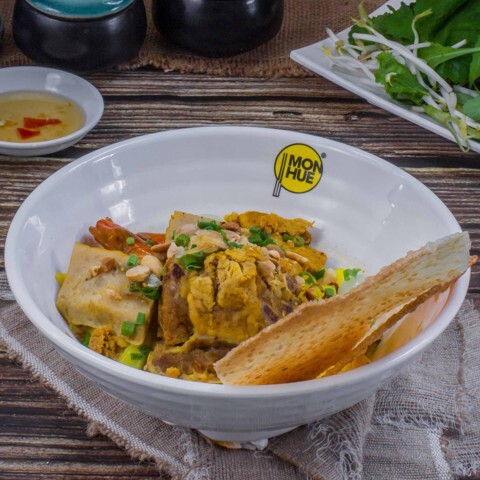 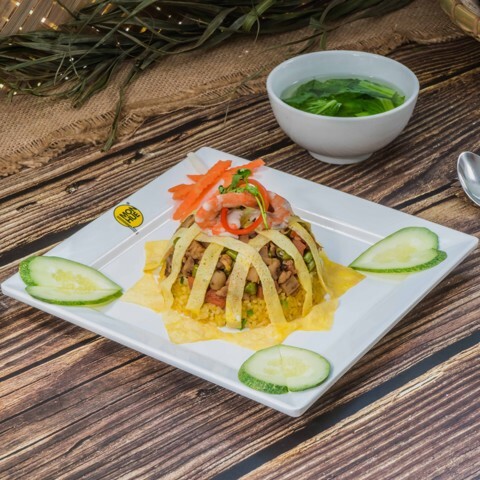 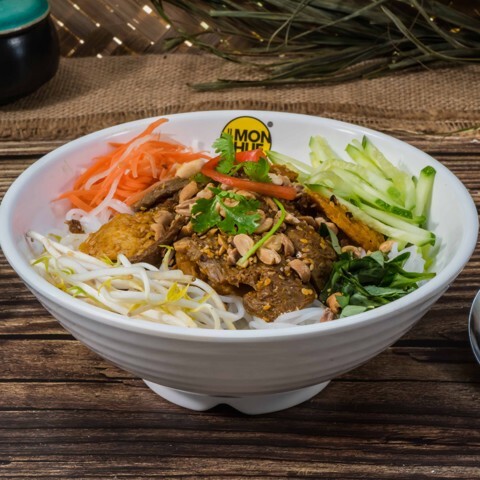 Rice noodles with vegetarian marinated char-grilled porka of Nha Hang Mon Hue was made of these main ingredients: Vegetarian meat, thin rice noodles, vegetarian fish sauce. 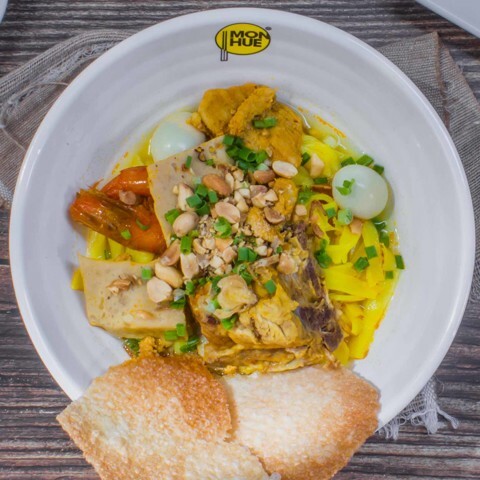 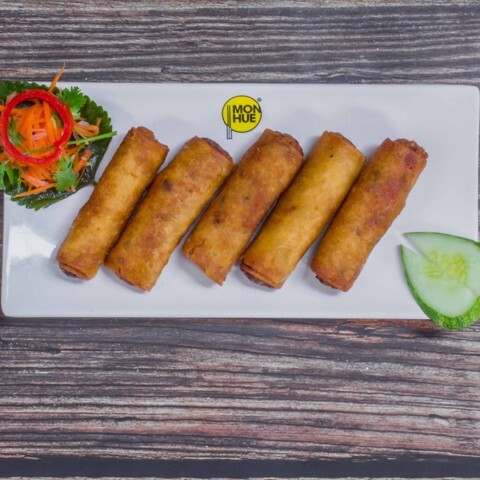 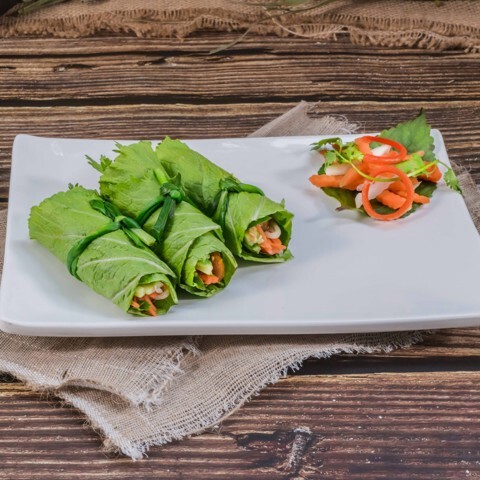 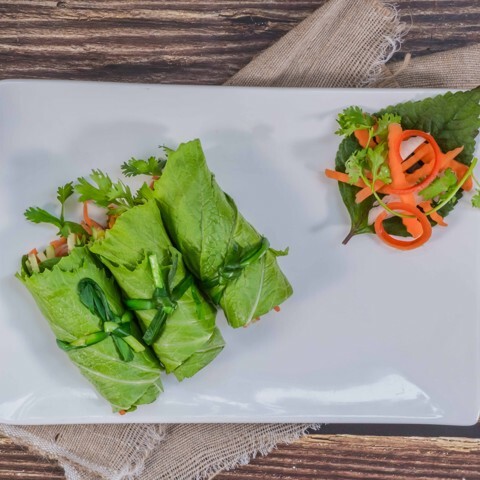 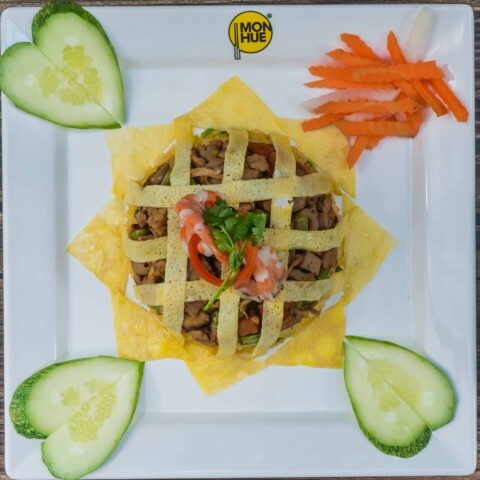 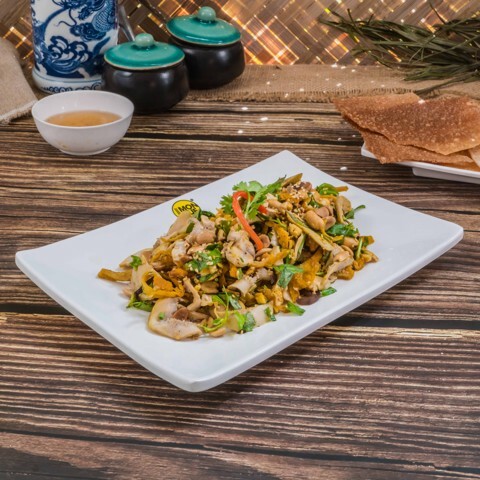 Vegetarian fig salad of Nha Hang Mon Hue was made of these main ingredients: Boiled figg, vegetarian salad, rice pancake, vegetarian fish sauce.